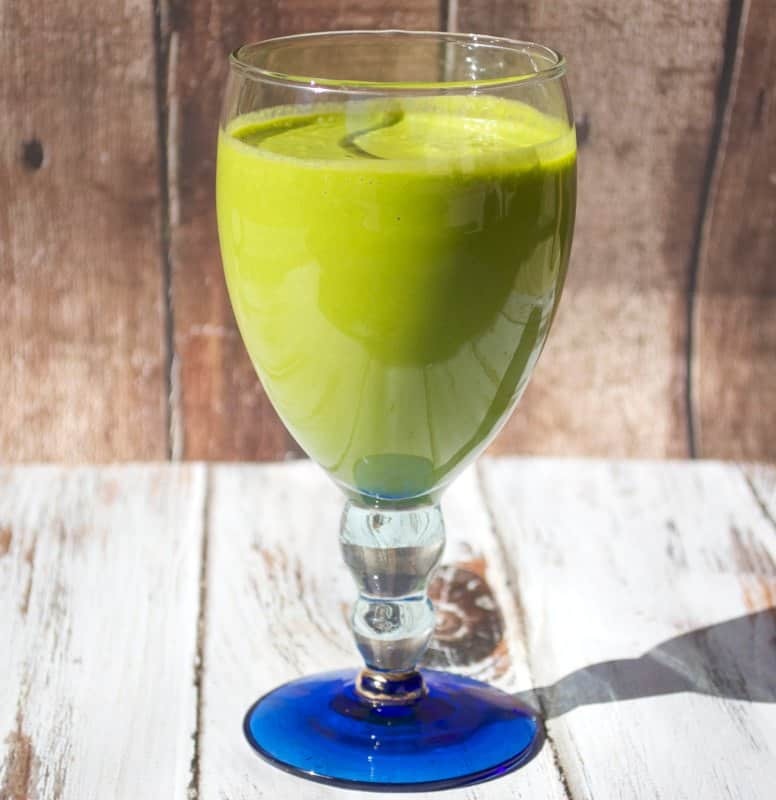 I was searching for Healthy Green Smoothie Recipes online and decided to try my own concoction! I figured since St. Patrick’s Day is right around the corner this would perfect! Since the weather is starting to S-L-O-W-L-Y get warmer, I need to start my breakfast smoothie routine to lose some extra pounds I’ve gained over the winter. I added up the calories and it came to about 266 which is AWESOME! If you want to add some protein, you could try something like this protein powder. I really like the taste and texture of this smoothie. I added all the ingredients to my Vitamix and blended on high until it was nice and smooth! Very easy 🙂 I did add some ice cubes to the blender to make it cold but this is not required. You could just as easily freeze your bananas before adding them. 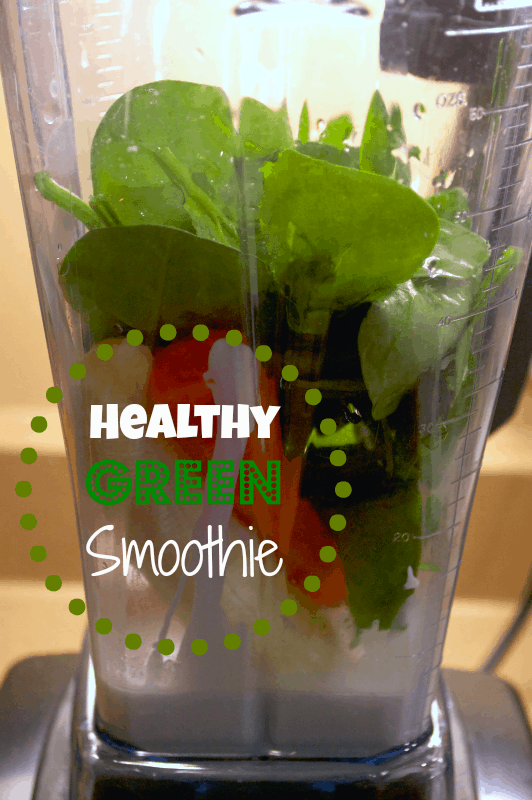 You can scroll down for the printable version of this Healthy Green Smoothie Recipe! 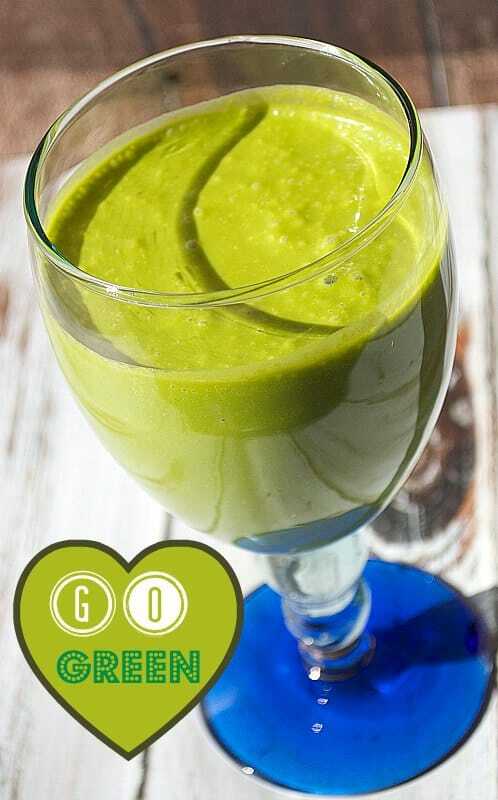 If you like this post make sure to check out our 25 Delicious Smoothie Recipes! After drinking this, I can definitely feel a boost of energy! I hope you enjoy and remember that everything is better in moderation!